Staying Safe During a Tornado | SERVPRO® of East Brownsville & South Padre Island Storm Team. Our Storm team is always ready to handle any disaster! Spring weather can often be unpredictable, so it always a good idea to be prepared for the chance of severe thunderstorms that lead to the perfect conditions for a tornado touchdown. Historically, April and May have the highest occurrences of tornadoes at 30% and 24% respectively, which means we are currently in the height of tornado season throughout the United States. Included in this blog are some tips and information on tornadoes that can help keep your family prepared for the worst possible scenario. A tornado will form when changes in wind speed and direction create a horizontal spinning effect within a storm cell. This is then tipped vertical by rising air moving up through the thunderclouds. The tornado’s signature funnel cloud will first be transparent, but it will become visible when it picks up water droplets from the storm’s moist air condense or dust and debris. A typical tornado can grow to be 660 feet wide and will move at 10 to 20 miles per hour, although larger and faster have been observed. Hail and intense winds of more than 200 mph can accompany tornadoes. The time of day that tornadoes typically occur in the spring and summertime is later in the afternoon, but it is vital to remember that they can occur anytime and anywhere. Make sure to understand the difference between a tornado watch and tornado warning. When a watch is issued, the conditions are favorable for tornadoes, whereas a warning is issued when a tornado has been reported by spotters or indicated by radar. Please, if you find yourself in the path of a tornado when a warning has been issued for your area, take action and find a safe shelter. You should store flashlights, a battery-powered weather radio and extra batteries in your selected tornado shelter at home. When driving, DO NOT try to outrun a tornado. Also, when you are taking shelter in your home, utilize furniture items like couch cushions, mattresses or blankets for additional protection for your head and neck covered whenever possible. Tornadoes can wreak absolute havoc on the areas they touch down in. While meteorologists and weather services can provide some advanced warning to potential threats, tornadoes can still occur with little to no warning at all. 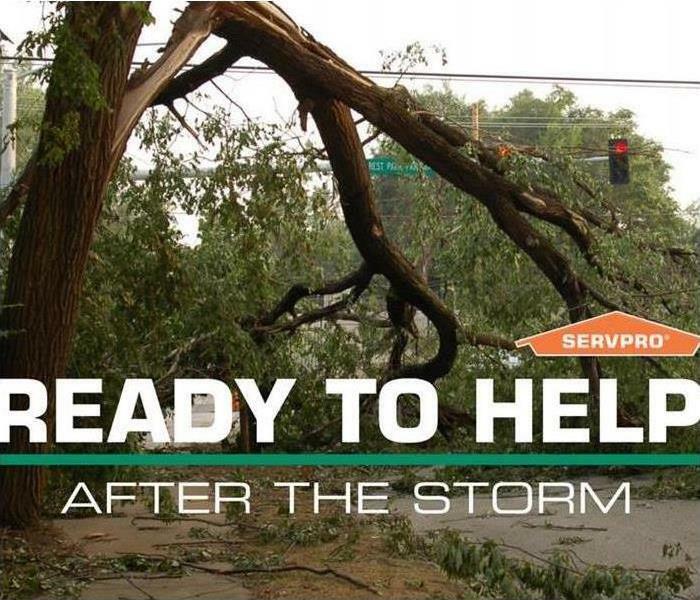 If your home or business has been damaged by a tornado, know that SERVPRO® of East Brownsville & South Padre Island storm team is ready and waiting to jump into action and get cleanup and restoration of your property underway. Mold Remediation...Don’t forget the mycotoxins! Our technicians have the certification to remediate mold in your home! As we all know, when you see mold, no matter what color, it needs to be removed. But how do we remove a .1 micron size molecule? Hepa filtration is only required to remove 99.97% of particles of .3 microns or larger. Not small enough. Air scrubbers remove airborne particles down to .3 microns. Still not small enough. In addition to the removal of all dust particulate, we find that newer fogging products, like MoldToxinKlear by US Enzyme, effectively ensure mycotoxin removal. Mycotoxin molecules are a much smaller molecule than the mold spore itself, making it easier to travel throughout a structure and ductwork. Mold spores are typically 1-6 microns, while human hair is about 100 microns and a mycotoxin metabolite is .1 micron. This small size, therefore, makes it easy to inhale or be absorbed through the skin. In today’s remediation process we should not only be concerned with mold removal but also these small molecules that can cause severe health issues. There are two areas of focus. The first is removal of all dust particulate where these molecules often land and take up residency. The second is in the ductwork and its role in distribution, which must be addressed in mold remediation projects. We always recommend duct and coil cleaning at the same time of mold remediation. 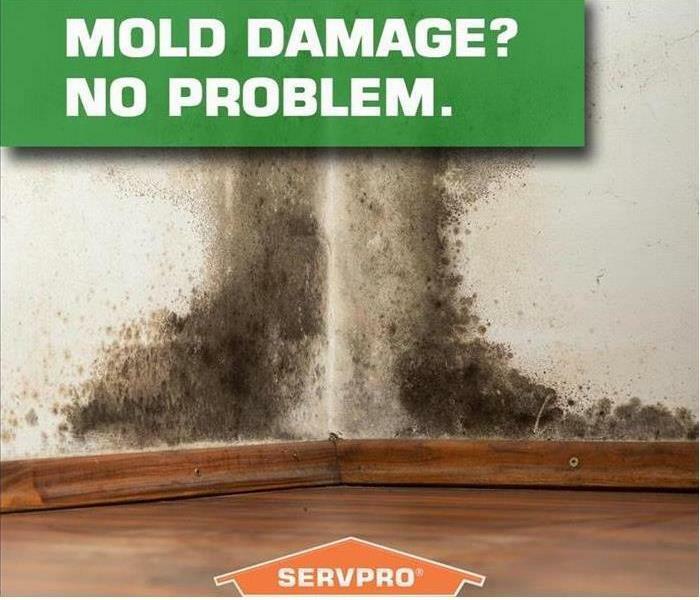 If your home is in need of mold remediation, Call the mold pro's at SERVPRO of East Brownsville & South Padre Island! We are always here to help with your cleaning, and restoration needs. Flood damage, burst pipes, and storms, OH MY! It feels like between all the crazy weather we have had in the past year, we have enough to worry about when it comes to potential water damages affecting your home or businesses. However, there is a hidden danger that lies within your home or business's walls that needs to be paid attention to. Leaking, and blocked appliances may not seem like a big deal, but it does not take a lot of time for a little leak to cause a lot of damage to your business. Taking the time to pay attention and keeping your appliances up to date can not only save you a lot of money in the long run, but it can also ensure you are keeping your property doors open and operating. Here are some helpful tips on how to make sure you're making your appliances a priority. If you do find yourself with a water damage due to a faulty appliance, make sure you give SERVPRO of East Brownsville & South Padre Island a call! We are always here to help assist our Brownsville community! If you are faced with a huge cleanup after disaster strikes your home or business, time becomes an especially precious commodity. Since it is your home or livelihood on the line, you don’t have the benefit of waiting for help—you need it right away. We know that a fast response is very important, which is why responding faster to any size disaster is more than just a slogan to us. When it’s your belongings or business on the line, you do not have the luxury of time when it comes to disaster cleanup. This is especially true when water damage has come into play, which can happen from various events such as flooding, appliance and/or plumbing failures, storm damage and fire damage, as water is used to put out the fires. It only takes mere minutes for water to spread throughout your property, where it will saturate anything and everything in its path. The walls, the floors, upholstery and your belongings are fast casualties of water. 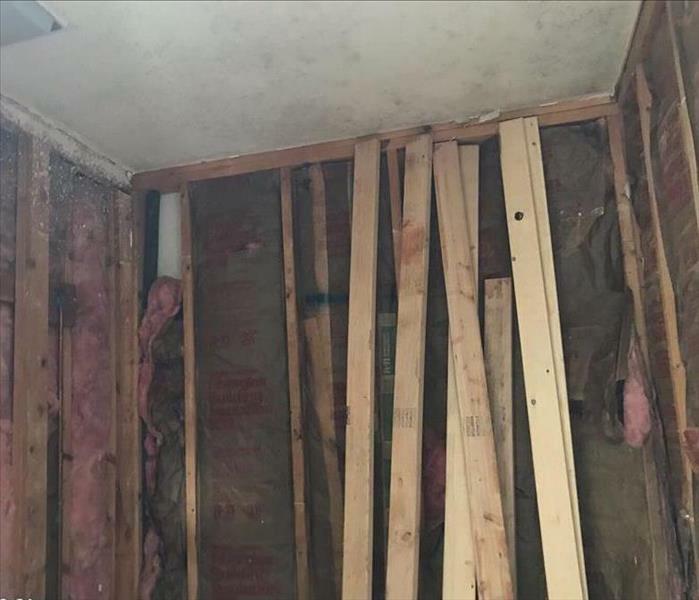 If water damage is left unchecked for over a week, it will lead to dramatically increased restoration costs and time, as well as impact structural safety. As a locally owned and operated franchise, we can provide an immediate response to any size disaster, which can help minimize the damage and help keep the cleaning and restoration costs manageable. We are close by and ready to respond whenever the call comes in. A major perk of being part of a national network of over 1,700 franchises is that we have access to more resources for the cleanup and restoration projects that may be larger or stem from major storm situations. Remember, if you need us, we’ll be there—no matter the time or day. 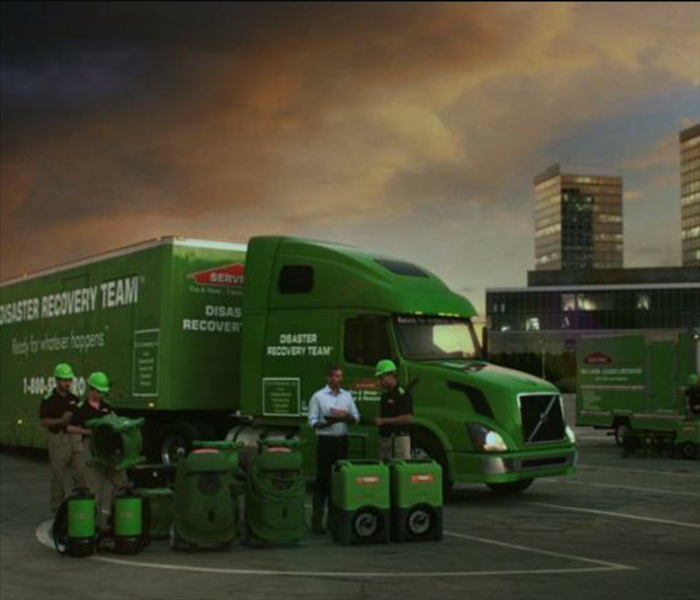 The team of highly trained restoration experts at SERVPRO® of East Brownsville & South Padre Island is available for emergency cleanup and restoration services 24 hours a day, seven days a week. Mold is a very serious thing that can lead to many problems like health issues, respiratory issues and even safety issues. In fact, it's sometimes deadly. Its a situation that should never be ignored and be removed right away. 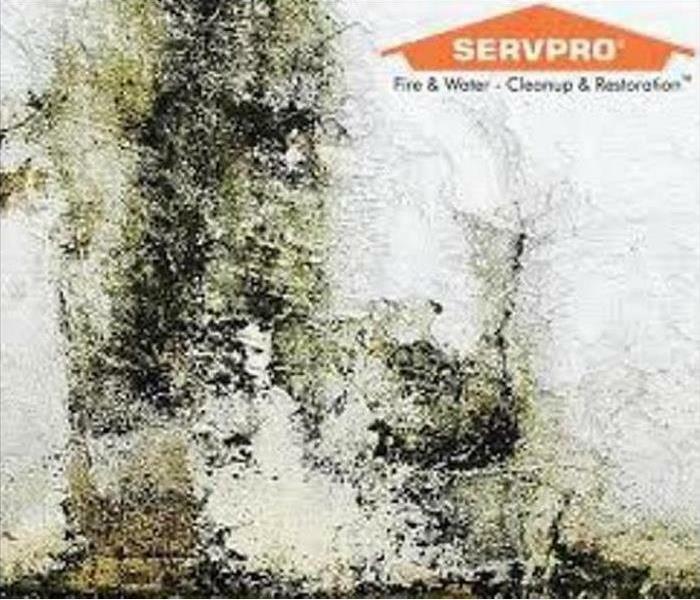 When you observe your first sign of mold, Call SERVPRO as soon as possible, NEVER try and handle the mold situation yourself! Being exposed to the mold will pass on some dangerous health problems. Also, we warn you that you should NEVER touch anything electrical when water is where it doesn't belong. While this might seem obvious, you'd be surprised at the number of people who have a flooded basement and casually wade through the water in order to turn off appliances or light switches on or off. Just a few inches of water can saturate electrical outlets near a floor. In fact, you should not be there in the first place. We remind you once again, it is very dangerous! Don't let mold remain in your home for too long. This leads to the mold to spread rapidly throughout your home or business. Mold cannot grow without moisture, Therefore, its always good to have a dehumidifier to remove dampness from the air and reduce the threat of mold. Use your senses if you suspect your house or business has mold. If you smell mustiness, its very likely mold is present. If something looks suspicious, Don't hesitate to have it checked out by SERVPRO of East Brownsville & South Padre Island. Better safe than sorry.! Contact Us today for any storm/water damage. Storms cause much destruction, and devastation every year. Some of the biggest dangers caused by storms occur right after the storm has already passed. Standing flood water that was caused by storms can cause serious health risks. Here are some of the most severe problems floods can bring. Standing flood water is filled with health risks. They are teeming with diseases. Bacterial infections, and diseases become a greater possibility because flood water can infect anything it touches. This includes anything from clothing to toys that children play with. Its important not to drink or eat anything that has been contaminated by standing flood water, and always wash your hands as often as possible, especially before meals. Open wounds pose a far more greater risk of becoming infected. If possible, keep opened wounds out of the water or cover with waterproof bandages. 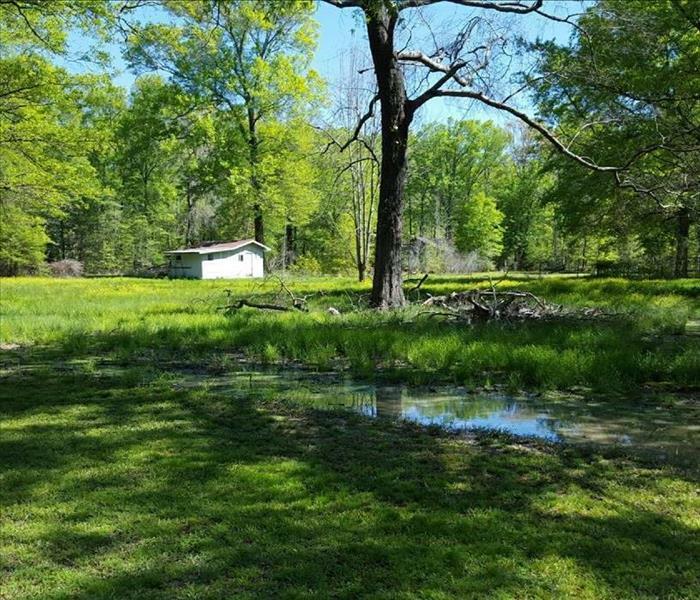 Disease isn't the only invisible hazard that exist within standing water. Murky water can conceal dangerous insects or even threatening animals beneath the surface. Much of this depends on the location of the storm. Standing water may also contain physical damage caused by the storm such as broken glass or sharp metal which might be impossible to see before it causes injury. On top of that, storms frequently cause damage to power lines. This can lead to a risk of electrocution in standing water. Flood water itself poses the possibility of causing drowning, whether people are in their cars or trying to swim across. If you need storm damage repair of water damage clean-up, Contact SERVPRO Of East Brownsville & South Padre Island today! Damage caused by a storm. Violent weather such as storm damage can wreak havoc on buildings and houses as well. The wind that comes with any type of storm can be a hazard to the structures of building or homes, by loosening the shingles or tiles on the roof. This can cause moisture such as rain and snow to infiltrate into the protective surface of the roof, which will result in the wood swelling and later on disintegration and becoming moldy. This outcome will lead to a sagging ceiling and further problems. Elements such as wind, rain, hail, and lightning can result in turning people’s lives upside down. this is why you should always count on the hero's at SERVPRO Of East Brownsville & South Padre Island. 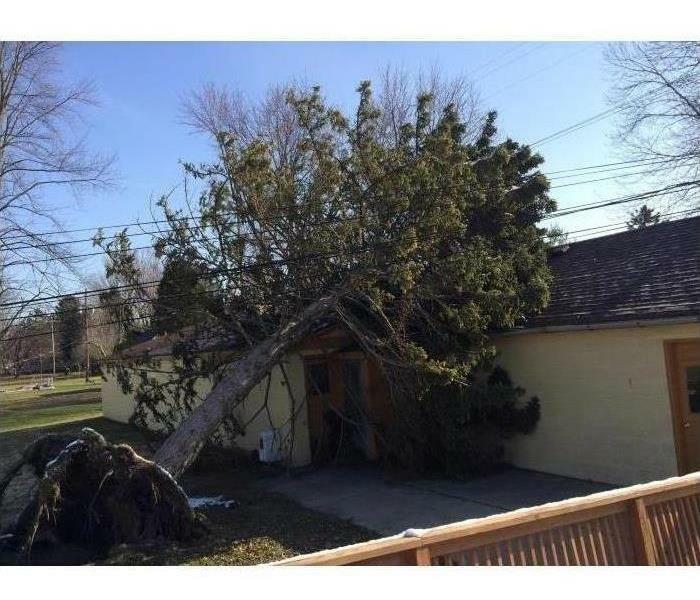 We specialize in storm restoration and clean-ups as well. Today we would like to educate you on some of the activities we do when it comes to storm restoration. Whether it is a business or residence, SERVPRO will come to your property and our trained experts will do a thorough examination of the interior and exterior of your building. This will help them discover the level of the damage. In many cases, the restoration company will discuss the renovation plans with you and your insurance adjuster. SERVPRO will be able to rescue your building from greater structural issues, by inspecting the roof and replacing the dilapidated areas. After sealing and renovating the roof, they will then address the ceiling and restore to its former condition. 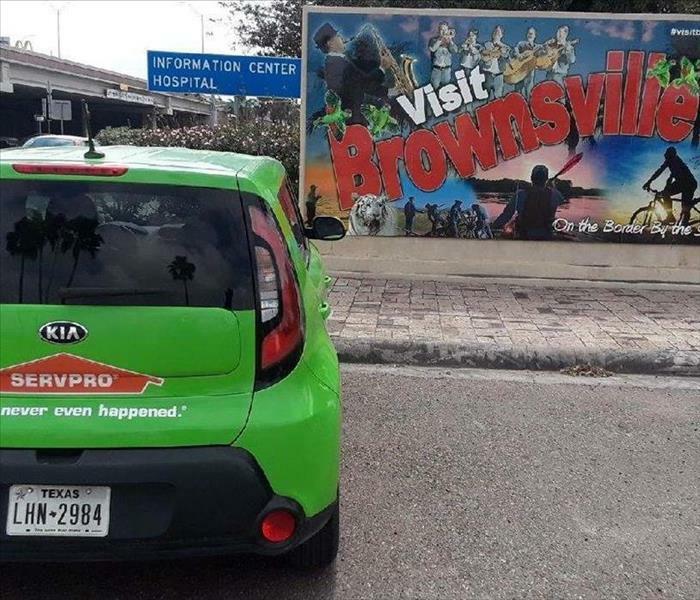 SERVPRO Of East Brownsville & South Padre Island has seen everything from BAD to WORSE, but that doesn't stop us from getting the job done right. Leave it to the professionals! SERVPRO Of East Brownsville & South Padre Island commercial cleaning services. Office appearance is always an important part of a company’s image, and so is asking questions. A clean and well-lit work space and reception area can make a lasting favorable impression on employees and customers alike. If you are considering hiring commercial cleaning services to improve the appearance of your office, here are five questions to ask potential providers. 1. Do You Get Ride Of Germs In Addition To Surface Cleaning? Germs quickly pass from person to person and decrease productivity while increasing employee absenteeism. A commercial cleaning service should be professionally equipped to handle limiting the spread of germs, and keeping your office healthy as well as clean. 2. What Hours Do You Work? Many cleaning services work off-peak hours to accommodate their clients needs and wants. Nighttime cleaning when the office is empty, it limits the disruptions caused by a cleaning service passing through a work area. However, if your company has odd hours, you might want to discuss this ahead of time with any potential commercial cleaning services and ask if its possible to tailor a work schedule to meet your company's schedule. 3. Do You Use Environmentally Friendly Products? Consumer's have raised concerns about the excessive use of harsh chemicals used for cleaning. Advanced equipment and modern cleaning products have been designed to thoroughly clean an office using environmentally friendly cleaning techniques. If the use of Environment friendly cleaners is a priority for you, ask your potential commercial cleaning services about their products and their preferred methods to ensure they share your concern for the environment. 4. What Are Your Contract Terms? As any business arrangement, They usually make you sign a contract or agreement of services if you require ongoing cleaning services. Review the contract for cancellation terms in the event that you are not fully satisfied. Also, be sure to ask for references and check online reviews prior to signing an agreement. At a minimum, the contract should include a description of services to be rendered, the agreed payment terms, and require the cleaning service provider to maintain proper insurance. 5. Do Your Employees Undergo Training? The quality of employee training makes a difference in terms of quality of work and reliability. Ask commercial cleaners about their training regimens and what specialized cleaning equipment employees will use on the job. Before granting a cleaning service unsupervised access to your facility, you may also wish to inquire about the employment background check process and employee turnover. Hiring a professional commercial cleaning company is one way to keep your business looking neat and polished. 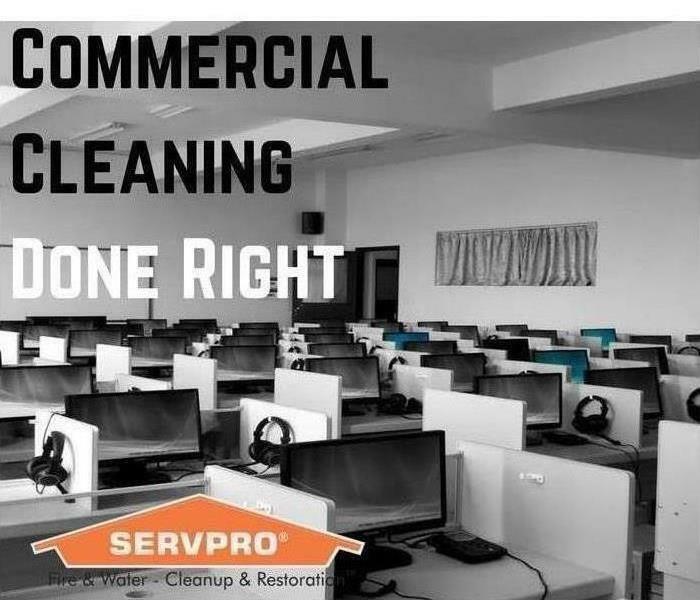 Whether you are looking for a one-time or seasonal cleaning, or if you need services on a recurring basis, SERVPRO Of East Brownsville & South Padre Island can make a significant difference in the overall appearance of your company facilities. Water Damage: What To Do After A Flash Flood. Pipe leaks in home cause serious damage. In an instant, Mother nature's rains can inflict total destruction. This could result in a cracked water pipe that is constantly flooding out your home. Water damage in your living space is very serious. Your first step should always be to find the water source and try to stop it. SERVPRO of East Brownsville & South Padre Island would like to provide you a few quick fixes that you can do to try while you wait for the items to be repaired. The first thing you’ll want to do if you have standing water from flood damage is get rid of it. Pumping out the water with a sump pump will help drain most of the water. Once the water’s drained, you can start analyzing the damage, and once the water levels are down, call the Fire And Water Clean-up & Restoration team at SERVPRO Of East Brownsville & South Padre Island. If your hardwood flooring, tile or carpeting had a lot of standing water on it, it’s important to determine if you can repair it or if you need to replace it. Before you decide to rip the carpet out, call the pros at SERVPRO. we will be able to save your wet, soiled carpeting with our powerful extraction process. Even Hardwood flooring can be salvaged by extracting water and then immediately applying cleaning solution. From there, the wood fibers or carpeting are saturated, sanitized and water is removed. The result is a clean, bacteria-free floor or carpet that is safe to use again. Once the water has stopped flowing in your Suwanee home, the first thing you should do is find your electrical breaker and shut the box off. This will allow you to safely go in and shut off all water valves if necessary. You’ll be able to assess the water damage in your home. Try to move wood furniture to a safe and dry location. With small amounts of standing water and wet flooring remaining, you’ll want to get the air flowing. This is because damp spaces are a breeding ground for mold, mildew, germs and bacteria. Once the leaks have subsided and your items have been restored, it’s time to consider waterproofing your home. A temporary fix would be to seal off any holes or spaces where water can easily enter. This may include a broken downspout, a missing roof shingle or missing flashing around your roof. From there, you may want to consider have your basement as well as the exterior base of your home waterproofed to prevent water from pooling. floods can cause very serious damage to your home. Call the water damage experts at SERVPRO OF East Brownsville and South Padre Island right away! We will assist you with fast clean-up and flood recovery! 4/22/2019 - Staying Safe During a Tornado | SERVPRO® of East Brownsville & South Padre Island Storm Team. 4/22/2019 - Mold Remediation...Don’t forget the mycotoxins! 1/8/2019 - Water Damage: What To Do After A Flash Flood.